Set a wintry mood at your next holiday gathering with iridescent snowflakes. The snowflakes are perfect for decorating a table or an entire room. 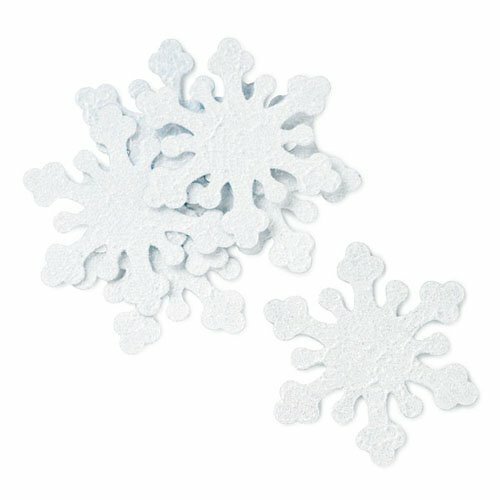 Each snowflake measures 2.5"L x 2.5"W.
Pair these up with the falling snow holiday ornament place card holders or our beaded snowflake ornaments with personalized tags to set up your very own winter wonderland!